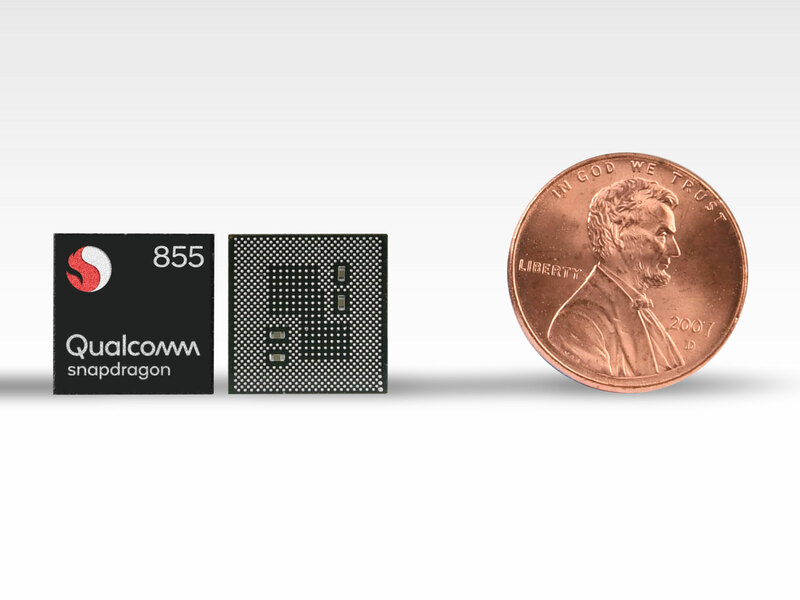 On day two of its Snapdragon Tech Summit in Maui, San Diego-based chipmaker Qualcomm offered specifics on its upcoming Snapdragon 855 mobile system-on-a-chip (SoC). Set to arrive in consumer-facing devices partway through next year when the first wave of 2019 high-end Android smartphones launch, the 855 is Qualcomm’s first 7-nanometre chip. Building on the Snapdragon 845, the company focused its efforts on improving performance in five main areas: connectivity, performance, artificial intelligence, camera and entertainment. 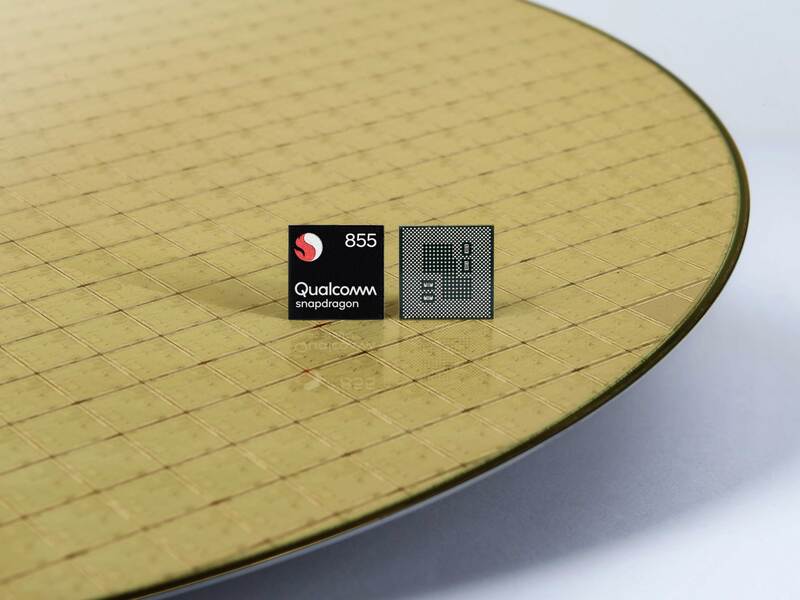 On the connectivity front, the 855 integrates many of the breakthrough wireless networking components Qualcomm announced throughout 2018. To start, the 855’s X24 Cat 20 LTE modem is capable of achieving theoretical download speeds of 2Gbps. Additionally, the chipset integrates the company’s recently announced Wi-Fi 6 and 60GHz-capable Wi-Fi antenna, allowing the 855, in the latter case, to deliver theoretical download speeds of up to 10 Gbps when connected to an 802.11ay compatible router. In short, as a result of all these components, the 855 can deliver multi-gigabit download speeds whether it’s connected to a wireless or Wi-Fi network. As always, the 855 needs to connect to equally advanced wireless infrastructure to deliver maximum speeds. In the case of 60GHz Wi-Fi, compatible routers aren’t like to come out anytime soon. As part of the industry’s ongoing 5G push, OEMs will be able to complement the 855 with Qualcomm’s X50 modem. The X50 doesn’t replace the X24. Instead, it’s designed as a compliment to allow a smartphone to take advantage of both 4G and 5G networks. The X50 is fully 5G-capable with two different antenna configurations that support either mmWave or sub-6Ghz frequencies. The mmWave-capable model can achieve theoretical download speeds of 5 Gbps. Samsung and OnePlus are some of the more notable smartphone makers that have said they’ll launch 5G-capable phones, which is to say they’ll include the X50 in their upcoming handsets. In terms of overall performance, Qualcomm claims the 855’s Kyro 485 CPU is 45 percent faster than its previous generation Kyro 385 CPU. According to the company, that’s the biggest single generational leap its been able to achieve in terms of processor performance. The 855’s GPU, meanwhile, is 20 percent faster than its predecessor. Similarly improved is the 855’s new fourth-generation artificial intelligence engine, with Qualcomm integrating a new tensor accelerator into its Hexagon 690 Processor. Qualcomm designed this component to assist with AI-related platforms like Tensorflow Lite. Qualcomm demoed a variety of third-party app experiences that will benefit from the 855’s AI capabilities. For instance, one called SuperIQ can turn a blurry photo into a sharp one. However, the most significant improvement Qualcomm has made to the 855’s architecture over its previous generation 845 chipset is how the SoC’s new Spectra 380 image signal processor (ISP) handles computational photography tasks. Computational photography encompasses smartphone camera features like HDR, portrait mode and digital zoom — that is, the aspect of smartphone photography that’s seen the most noticeable improvements over the past two year. With the 845, Qualcomm designed the chipset to spread computer vision workload-related tasks between its ISP, CPU and GPU. This means the 845 has to power on all three of those components anytime it’s asked to do something like run an algorithm that adds a depth of field effect to a portrait shot. By contrast, the 855’s new image signal processor is capable of completing computational photography tasks without offloading any part of the process to the other components of the 855. Because of this change, Qualcomm has taken to referring to the Spectra 380 as the world’s first computer vision image signal processor. On the surface, this seems like a minor change. However, in a lot of ways, it’s the 855’s breakthrough feature. With a more streamlined pipeline for computational photography, the 855 is capable of calculating depth of field at 60 frames per second. As a result, one of the tentpole features 855-equipped Android smartphones will offer is the ability to add a depth of field effect to video. The Spectra 380 is also the first ISP to support 4K video capture using HDR10+. Another computational photography feature the 855’s new ISP will enable is real-time object segmentation. Say you snap a photo of a friend that’s standing in front of a background like a brick wall. The 855 is capable of replacing that brick wall in real-time to a background that, for example, includes a blue sky and palm trees. Moreover, with its new pipeline, Qualcomm claims the 855 is two to four times more power efficient when completing other computer vision-related tasks such as body tracking and object detection. Additionally, the 855’s ISP includes full hardware acceleration for both H.265 and VP9 decoding. The latter will help to greatly improve playback of 4K HDR videos, something that has typically been a weak point for Android devices compared to the iPhone. It’s also seven times more power efficient when it comes to 4K video playback. Tying together all the 855’s new camera-related features is support for High Efficiency Image Format (HEIF) image and video encoding. 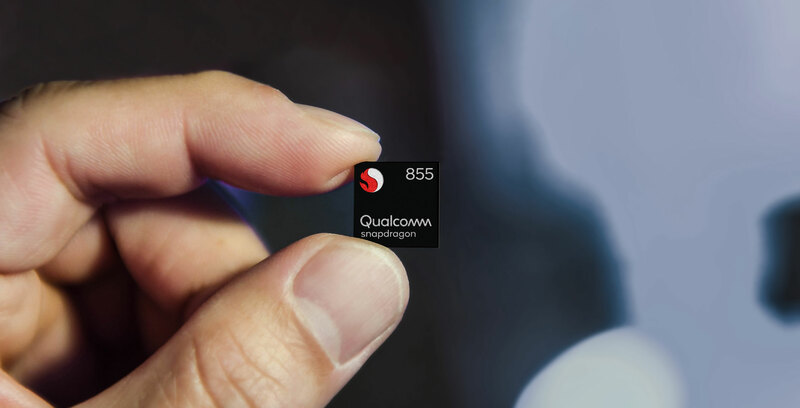 The 855 is the first Snapdragon chipset to support the next generation image and video storage codec (Google recently added support for the file format alongside Android 9 Pie). HEIF support enables a variety of interesting features as it relates to how the 855 can encode a picture or video file. For instance, it’s possible to store both the colour and depth map of a single image in the same HEIF container. This means that with HEIF image files users can add a portrait depth of field effect to an image, even if they didn’t use their phone’s portrait mode functionality to capture the image originally. Similarly, it’s possible to store an entire set of burst images or multiple lens profiles in the same container using HEIF. Mobile gaming-related performance is the last major area of improvement with the 855. The chipset’s combination of hardware and software allows it to support HDR grading in gaming applications. In addition, Qualcomm has created a new rendering engine that can generate scientifically accurate textures that reflect light realistically. Lastly, the 855 is the first Snapdragon chipset to support Qualcomm’s new 3D Sonic in-display fingerprint sensor technology. In contrast to the in-display fingerprint technology feature in devices like the OnePlus 6T and Huawei Mate 20 Pro, which take an image of the user’s fingerprint, Qualcomm’s new solution sends out an ultrasonic wave. This allows the tech to identify a fingerprint faster and more accurately.